PUIG Crash Pads are the perfect choice to use it to protect your bike. Sliders do not stand out from handlebar and the sliders touch after the footpegs. Also, these crash pads include a slider rubber protecting rider. TEC Alloy Engine / Sump Guard Kit - Silver. TEC Alloy sump Guard kit-. Unlike many guards on the market that are made from a bent flat plate, our TEC guard is machine pressed to form strengthening ribs along both sides and the front centre line. Nickel 18um chromium 0.25un, plating grade 8 above. Yamaha Vstar 650 Classic 1998-2012. Yamaha Dragstar 650 Classic 1998-2012. Yamaha Vstar 650 Custom 1997-2012. Yamaha Dragstar 650 Custom 1997-2012. Yamaha Vstar 400 Classic 1998-2012. Fit For BMW R1200R 2013-on. Fit For BMW R1200GS Adv 2013-on. Fit For BMW R1200GS 2013-on. Fit For BMW R1200RS 2013-on. 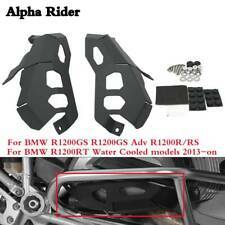 Fit For BMW R1200RT Water Cooled models 2013-on. Lightweight and compact design,Perfect for your motorcycle. Acerbis 0011685.090. All Acerbis plastic replica products have the original form of the OEM factory of each specific model. New product under warranty. ACERBIS OFFICIAL DISTRIBUTOR. HONDA CRF 250 R 2004 2005 2006 2007 2008 2009. Engine Guard Crash Bar For Suzuki Boulevard M109R 2007-2018. - Improve the appearance of the motorcycle. Surface finish:Black. - Holes line up perfectly. MPW Race Dept Motorcycle Crash Protection Bungs MPW heavy duty crash bungs are designed to withstand impact and will ensure the force of the drop is absorbed and dissipated effectively. Each protection bung is designed to maintain a suitable clearance between your fairing, engine cases and frame and the ground, minimising damage to your bike. Why our crash bungs? These crash bungs are precision machined in Polyoxymethylene thermoplastic which possesses high tensile strength and provides high resilience across smaller surfaces which makes them ideal for protecting your machine in the event of an unfortunate slide or drop. For Suzuki GSR400 GSR600 BK400 600 2006-2016. -Type: Engine Crash Bar. 1 Pair x Motorcycle Engine Crash Bar(Left & Right Side). -Quantity: 1 Pair (Left and Right Side). The images are for reference only. Water Cooled for BMW R1200GS Cylinder Head Guards - Dings, scratches, scrapes, or even a cracked valve cover can all be results of a simple tipover on the liquid cooled R1200GS. With its wide boxer-style engine, the valve covers will hit the ground when the bike goes over. Acerbis 0023674.090. Compatible with ACERBIS sub-engines. All Acerbis plastic replica products have the original form of the OEM factory of each specific model. New product under warranty. ACERBIS OFFICIAL DISTRIBUTOR. Quantity: 1 X Crash Bar. 1X Pair Guard Bar ( As Pictures Shown ). Color: Black. Superior quality and Durable. ARTAFON SP10 – Aluminium skid plate, engine guard –HUSQVARNA 250/350 FE 4T models 2012-2016. Made from hard aluminum PA11 / AlMg3 / thickness 4mm. These axle sliders are made from high quality Aluminum to protect your motorcycle in case of an accidental lay-down. It can help protect expensive suspension components in the event of a crash and may significantly reduce the cost of repair. CLASSIC-STYLE CRASH PADS. BMW K 1200 S. Material: Steel core and mounting brackets. Nylon body. • The product is sold with regular invoice and manufacturer's warranty. • We encourage you to check the manufacturer's website for more information by referencing the manufacturer's part number. TEC Alloy Engine / Sump Guard Kit - Black. TEC Alloy sump Guard kit-. Unlike many guards on the market that are made from a bent flat plate, our TEC guard is machine pressed to form strengthening ribs along both sides and the front centre line. KTM DUKE 390 2013-2015. High quality Crash bars Protection. Suits the appearance of the motorcycle. Material:Coated tubular steel. Quantity : 1 Set (include Screw). For KTM 1050 Adventure 2015-2018. -- Type: Engine Case Slider. 1 x Right Engine Case Slider. Fix the cover on original engine casing by screw. For KTM 1090 Adventure 2017-2019. For KTM 1190 Adventure 2013-2019. MT-03 2015 - 2017. Engine Crash Bars. Engine Bars - Black. Yamaha MT-03 15-16. Large selection of Honda, Suzuki, Kawasaki, Yamaha and Aprilia pattern parts for sale at. Design and custom-make for Kawasaki Z900 Z900RS Z900RS Cafe. For Kawasaki Z900RS 2017-2019. For Kawasaki Z900RS Cafe 2017-2019. Crafted from high-strength aluminum alloy for durability and good looks.The covers simply bolt on over the original engine casing. Crash bars for Honda CB900F CB 900 F F2 Boldor. Honda CB 900 F2 SC09 1982 1983. Honda CB 900 F SC01 1979 1981. complete Set (left and right) crash bars. Usage List / Matching for Top quality made in Germany. Engine Guard Protector Highway Crash Bar for Honda Shadow Aero VT750 VT750C VT400 2004-2011 Condition: Brand New Color: Chrome Chrome Engine Guard Highway Crash Bar Material: Iron Fitment: for Honda Shadow Aero VT 750 750C 400 2004-2011 Mounting hardware not included, you can use the existing one on the bike, or you get them from the local store Easy to install, no instruction included. Package: one pcs. Motorcycle Black Engine Guard Crash Bars Protection For BMW S1000XR 2015-2018. -- Perfectly suits the appearance of your motorbike. 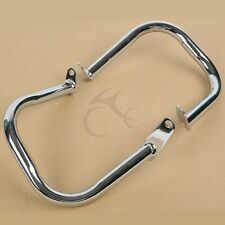 Engine Guard Crash Bar For Kawasaki VN900 Classic/LT,VN900 Custom 2007-2013 SRC. KAWASAKI VN900 Classic/LT 2006-2013. KAWASAKI VN900 Custom 2007-2013. - Improve the appearance of the motorcycle. Surface finish:Black. 2005 R6 stunt crash cage. Brand new never fitted. Bought from stunt bike store UK a few years a few and not used. May got other model years. Or want to buy more than one item. FX4000HD Zida 49cc Chopper FX4000HD (FX088). Chock cables (4). Chain Guard. 1,CRANK CASE (8). 10,CRANK SHAFT (2). Storage Box,Lock (5). ATV foot brake (1). Brake Switch (6). Acerbis 0016310.090. All Acerbis plastic replica products have the original form of the OEM factory of each specific model. New product under warranty. ACERBIS OFFICIAL DISTRIBUTOR. KTM EXC-F 250 2014 2015 2016. Acerbis 0013922.020. All Acerbis plastic replica products have the original form of the OEM factory of each specific model. New product under warranty. ACERBIS OFFICIAL DISTRIBUTOR. HONDA CRF 450 R 2009 2010 2011 2012 2013 2014 2015 2016. Acerbis 0022332.090. All Acerbis plastic replica products have the original form of the OEM factory of each specific model. New product under warranty. ACERBIS OFFICIAL DISTRIBUTOR. KTM SX 250 2017 2018. Acerbis 0022318.090. All Acerbis plastic replica products have the original form of the OEM factory of each specific model. New product under warranty. ACERBIS OFFICIAL DISTRIBUTOR. KTM EXC 250 2017 2018. Acerbis 0022319.011. All Acerbis plastic replica products have the original form of the OEM factory of each specific model. New product under warranty. ACERBIS OFFICIAL DISTRIBUTOR. KTM SX 125 2016 2017 2018. KAWASAKI KXF 250 2009 2010 2011 2012 2013 2014 2015 2016. Acerbis 0013519.090. All Acerbis plastic replica products have the original form of the OEM factory of each specific model. New product under warranty. Acerbis 0013683.090. All Acerbis plastic replica products have the original form of the OEM factory of each specific model. New product under warranty. ACERBIS OFFICIAL DISTRIBUTOR. KTM SX 250 2006 2007 2008 2009 2010 2011 2012 2013 2014 2015 2016. Acerbis 0021527.090. All Acerbis plastic replica products have the original form of the OEM factory of each specific model. New product under warranty. ACERBIS OFFICIAL DISTRIBUTOR. SUZUKI DR 650 1996 1997 1998 1999 2000 2001 2002 2003 2004 2005 2006 2007 2008 2009 2010 2011 2012 2013 2014 2015 2016 2017 2018. Acerbis 0021755.091. All Acerbis plastic replica products have the original form of the OEM factory of each specific model. New product under warranty. ACERBIS OFFICIAL DISTRIBUTOR. KTM SX-F 450 2016 2017 2018. Acerbis 0022823.030 58. All Acerbis plastic replica products have the original form of the OEM factory of each specific model. New product under warranty. ACERBIS OFFICIAL DISTRIBUTOR. KTM EXC-F 250 2017 2018. Acerbis 0023661.313. All Acerbis plastic replica products have the original form of the OEM factory of each specific model. New product under warranty. ACERBIS OFFICIAL DISTRIBUTOR. HUSQVARNA FC 250 2019 | HUSQVARNA FC 350 2019 | KTM SX-F 250 2019 | KTM SX-F 350 2019.